lowered, cause chafe, and make it harder to properly flake. Since 1986, we have built Dutchman Systems in Norwalk CT, with over 15,000 systems on boats from 20 to 90 feet. giving the best sail shape and the highest reliability. 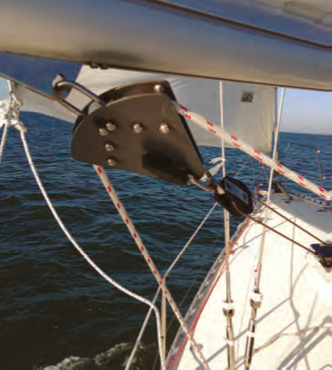 The system keeps the sail on the boom without the need for the intermediate reef points. Offshore sailors find this is the best feature. The fact that the Dutchman does not catch the sail as it’s raised and lowered is also an important advantage. 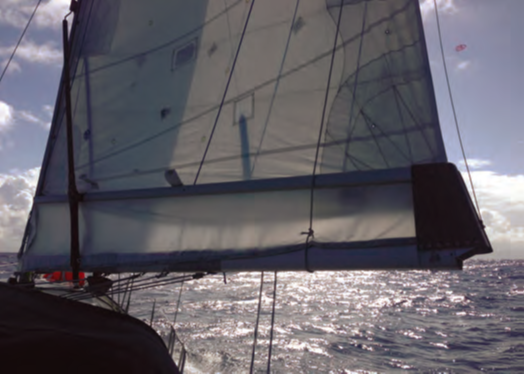 easy reefing in a sail that can be easily controlled by a typical cruising couple. Less weight aloft, simplicity and reliability are also important advantages. We have developed a new system for loose-footed sails, the type L Dutchman. This is also used with our new cover option, the SailCase boom. We just completed the first round of offshore testing with the SailCase, sailing from Norwalk to St. Thomas via Bermuda this December on Bermuda High, a Hanse 40 in our Sound Sailing Center membership program. package. On most boats, we move the forward end of the existing boom down to just above deck level, so the slides can now be stored in the space between where the boom was and its new location. The aft end stays in the normal position, or the clew can be raised. Problems with a high sail stack height are completely solved. boom. 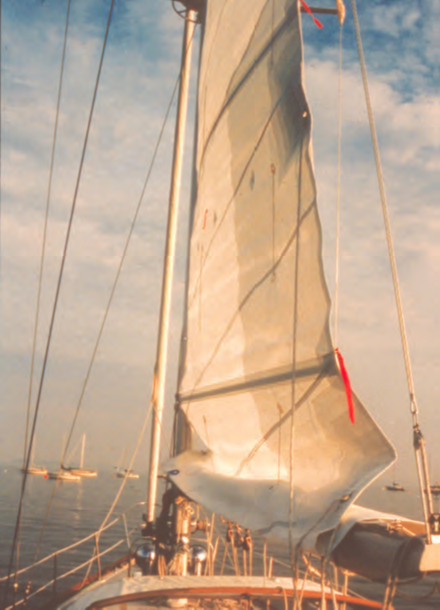 When reefed, the sail is stored inside the fabric pocket formed between the lower boom and the upper boom. Best of all, covering the sail becomes almost automatic. The vang is released, the sail lowered into the V formed by the upper booms and side covers, and then the vang is tensioned to close the boom, all from the comfort of the cockpit. It’s an open and shut case! need to go forward to switch over a preventer, never my favorite job when sailing in any wind at night. Best of all, the boom is always under control. It can move, but only at the speed you preset it for, by adjusting the brake line tension. Of course, the brake line can be over-tensioned, and it will work as a preventer, only allowing a few inches of travel to dissipate the shock loads from an accidental jibe. shorthanded with just your mate. All our gear is designed with this in mind, so I can get a good off-watch rest while my significant other sails our boat! Martin van Breems is the inventor of The Dutchman, SailCase and Boom Brake, and the Founder and President of Sound Sailing Center in Norwalk, CT. For more information, visit MVBinfo.com and soundsailingcenter.com.